Since 1980, we have created modern furniture designed to be practical, timeless and comfortable. 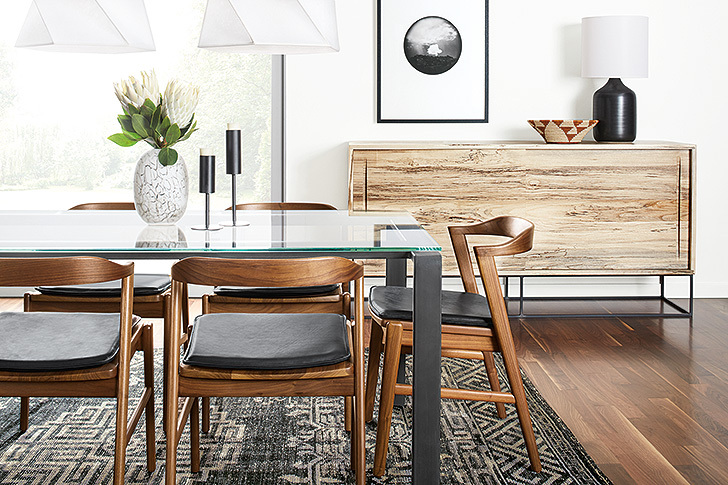 To us, modern isn’t a trend to be chased; it’s a way of living in your home that focuses on simplicity and function. Here’s our definition of modern and what it means to us. We design our furniture in-house taking inspiration from the enduring design movements of the past, particularly Shaker, Arts & Crafts, Scandinavian, Bauhaus and Mid-century Modern. These eras share principles we consider fundamental to good design, like honoring natural materials, working with pure, organic forms and making the functional beautiful. Our aesthetic is rooted in this design heritage, but not stuck there. This dining room combines a modern industrial table with Scandinavian-inspired chairs and a traditional rug for a timeless mix. For us, modern means taking the best of the past and reinterpreting it with a focus on clean lines, function and quality materials. The result is a classic, contemporary look that isn’t trendy. Quite the opposite, in fact: It’s timeless, flexible and adapts to your style over time. 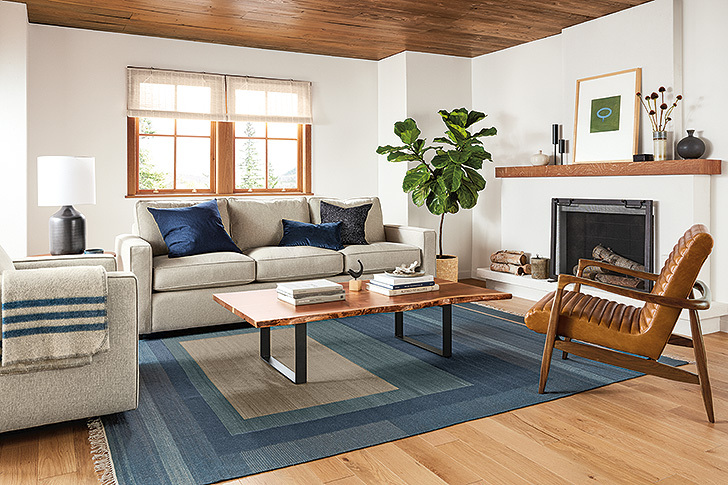 We introduced the York sofa in 1997, and it continues to be a customer favorite today because of its clean lines and comfort. We design our modern furniture in the spirit of longevity, creating items of exceptional quality you’ll be proud to have in your home, and that will endure. Furniture that lasts, in all senses of the word, is what we want. We believe quality modern furniture has staying power and offers an outstanding value for your investment. When you invest in well-made pieces with a timeless aesthetic, you need to buy furniture less often, using fewer resources. We take it further by manufacturing more than 90% of our products in the U.S., reducing our environmental impact. Many of our materials, like solid wood and natural steel, we source within the U.S. as well. 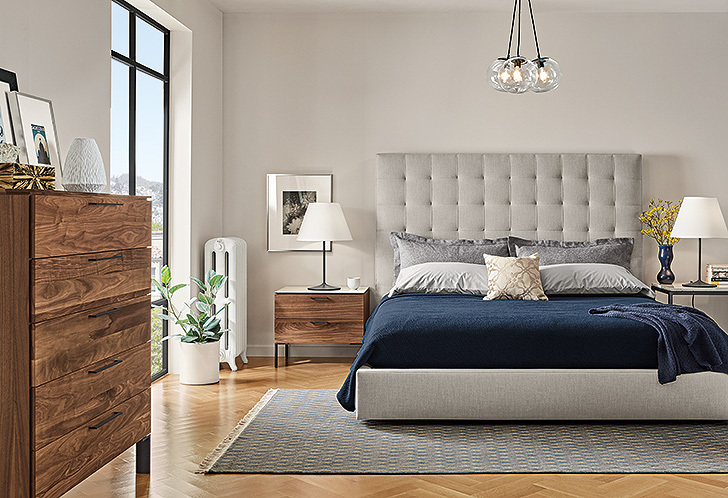 Our solid walnut (shown here on the Kenwood collection) is harvested within the U.S., which is home to some of the strictest forestry standards in the world. 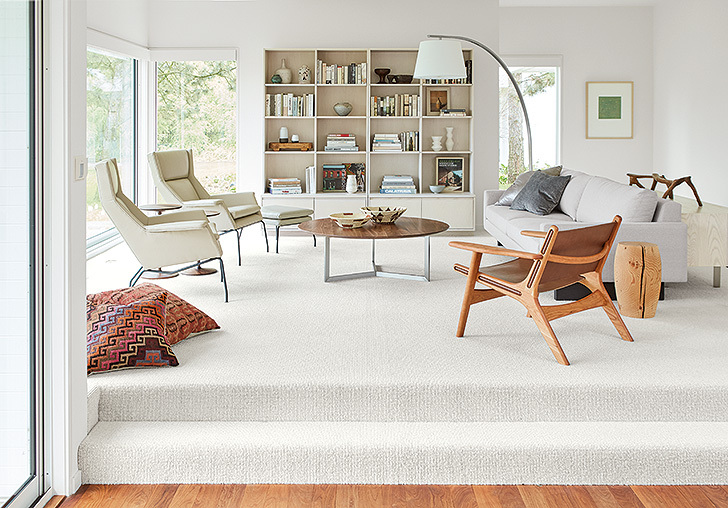 Learn more about our take on modern furniture and how we do business at roomandboard.com.